I am currently a post-doc researcher in Human-AI Communication research group of RIKEN AIP under the supervision of Professor Toyoaki Nishida. Prior to that, I pursued my Ph.D. in informatics at Kawahara Lab, Department of Intelligence Science and Technology, Graduate School of Informatics, Kyoto University. My research interests lie in the field of human-AI communication, human-computer interaction, and computer-assisted language learning (CALL). The primary focus of my research is to make use of state-of-the-art technologies in order to facilitate common ground building and smoothen communication by envisioning the tacit dimensions of interactions and designing agents that can smoothly participate in the conversation with the human. Additionally, I strive to assist language learners and to facilitate the process of teaching and learning a foreign language. Mirzaei, M. S., Meshgi, K., & Kawahara, T. (2017). Exploiting Automatic Speech Recognition Errors to Enhance Partial and Synchronized Caption for Facilitating Second Language Listening. Computer Speech and Language Journal, Elsevier (DOI). Mirzaei, M. S., Meshgi, K., & Kawahara, T. (2017). Partial and synchronized captioning: A new tool to assist learners in developing second language listening skill. ReCALL Journal, Cambridge University Press (DOI). Mirzaei, M. S., Meshgi, K., & Kawahara, T. (2017). Listening difficulty detection to foster second language listening with the Partial and Synchronized Caption system. InCALL in a Climate of Change –Proceedings of the 2017 EUROCALL Conf., Southampton, U.K. Research-publishing.net. (DOI). 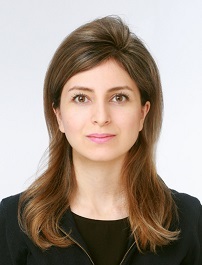 Mirzaei, M. S., Meshgi, K., & Kawahara, T. (2016). Leveraging automatic speech recognition errors to detect challenging speech segments in TED talks. In CALL Communities and Culture –Proceedings of the 2016 EUROCALL Conf., Limmasol, Cyprus. Research-publishing.net. (DOI). Meshgi, K., Mirzaei, M.S., Oba, S., & and Ishii, S. (2017). Efficient Asymmetric Co-Tracking using Uncertainty Sampling, In Proceeding of IEEE ICSIPA’17, Kuching, Malaysia (Best paper award). Meshgi, K., Mirzaei, M.S., Oba, S., & and Ishii, S. (2017). Active Collaborative Ensemble Tracking, In Proceeding of IEEE AVSS’17, Lecce, Italy. Mirzaei. M. S., Meshgi, K., Akita, Y., & Kawahara, T. (2015). Errors in automatic speech recognition versus difficulties in second language listening. In F. Helm, L. Bradley, M. Guarda, & S. Thouesny (Eds), Critical CALL – Proceedings of the 2015 EUROCALL Conference, Padova, Italy (pp. 410-415). Dublin: Research- publishing.net. (DOI). * These works are cited in Intralingual Subtitles (Captions) and Foreign/Second Language Acquisition Research Bibliography by Professor Gunter Burgers. We aim to facilitate common ground building and smoothen communication by envisioning the tacit dimensions of interactions and designing agents that can smoothly participate in the conversation with the human. Our present research also focuses designing effective tools for facilitating cross-cultural communications. Recently working on “Partial and Synchronized Caption” project in order to advance the system and incorporate it into a CALL system. This on-going study investigates the use of a novel method of captioning, PSC, as a listening tool for the second language (L2) learners. In this method, the term partial and synchronized caption pertains to the presence of only a selected set of words in a caption where words are synced to their corresponding speech signals. This new approach relies on the latest advances in speech recognition technology; where an automatic speech recognition system (Julius 4.3) was trained using the desired corpora to precisely align each word to its corresponding speech signal. This word-level alignment emulates the speech flow and allows for text-to-speech mapping. The outcome of this process is used to generate partial captions by automatically selecting words and phrases which are likely to hinder learner’s listening comprehension. The selected words are presented in caption while the rest are masked by dots in order to make comprehension based more on listening to the speech rather than solely on reading the caption text. The criteria for selection are defined by three features: “speech rate”, “word frequency” and “specificity”. This method is based on the premise that occurrence of infrequent words in listening materials and fast delivery of the speech by the speaker attenuate L2 listening comprehension. In this view, PSC strives to assist the learners by presenting these problematic words/phrases in the caption. For effective word selection, learner’s vocabulary size and tolerable rate of speech were adopted as the basis for generating the captions. Finally, PSCs are automatically prepared for learners at three proficiency levels: “beginners”, “pre-intermediates” and “intermediates”. This type of captioning is anticipated to be not only an assistive tool to enhance L2 learners’ listening comprehension skills but also a medium to decrease dependence on captions thus preparing learners for real-world situations. Click here (the official project page) to see demonstration videos on how PSC works.